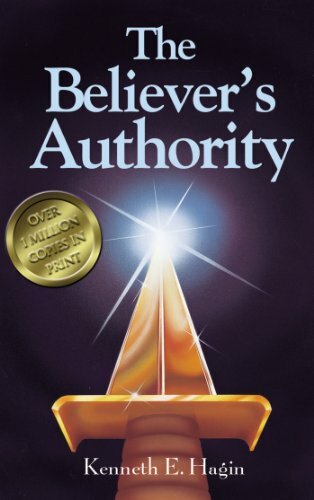 Believer's Authority By author: Kenneth E. Hagin Sr. Description: The Believer's Undiscovered Authority "Do we have an authority that we don't know about - that we haven't discovered - that we're not using?" Rev. Kenneth E. Hagin asked himself this question when he was a young preacher. "I had little glimpses of spiritual authority once in a while," he writes in The Believer's Authority. "Like others I had stumbled upon it and had exercised it without knowing what I was doing. "As a result of my studies, I concluded that we as a Church have authority on the earth that we've never yet realized. "A few of us have barely gotten to the edge of that authority, but before Jesus comes again, there's going to be a whole company of believers who will rise up and with the authority that is theirs...they will do the work that God intended they should do."